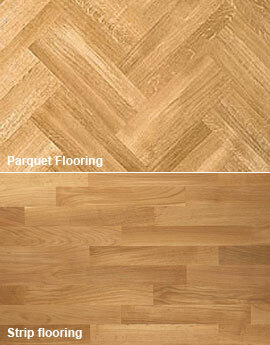 These are traditionally known as parquet, block or strip flooring. Our strips are machined to a high standard and tongue and grooved on all four sides. The standard size of 500mm length, 70 mm width and 22 mm deep. Other sizes are available. The strips are shrink wrapped in strong polythene. These blocks do require finishing and sanding. Our oak strips are top grade, which is classified as prime. This is the finest quality of wood with a consistent colour and no presence of knots. The wood is kiln dried to a humidity level of 8 – 12 per cent which is suitable for the British home. We recommend that our oak strips are left to acclimatise in your home prior to installation.